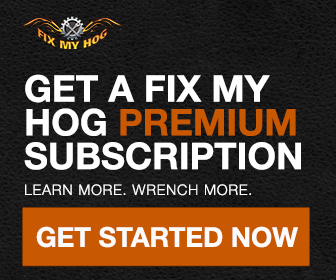 A very common owner mistake that can usually be avoided: The dreaded, broken exhaust stud. 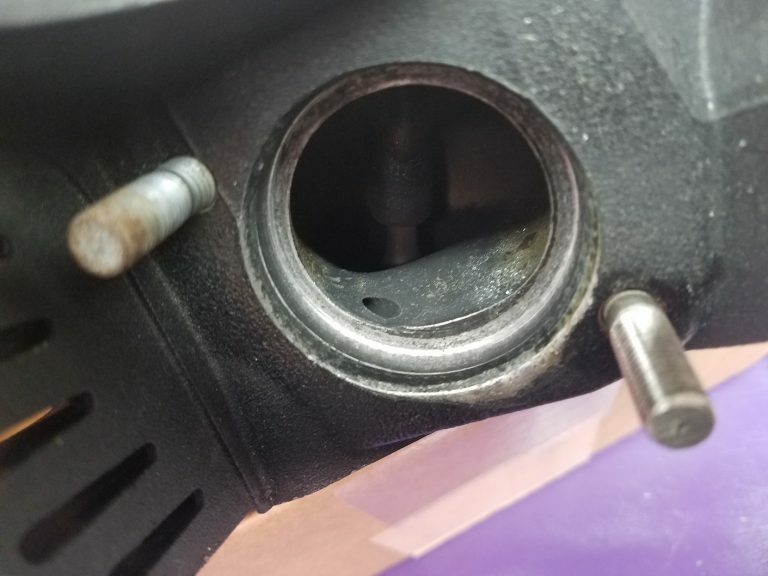 This is more likely to be an issue on bikes that are stored in sheds or left outside for long periods of time where rust develops on the raw steel exhaust studs & flare nuts. 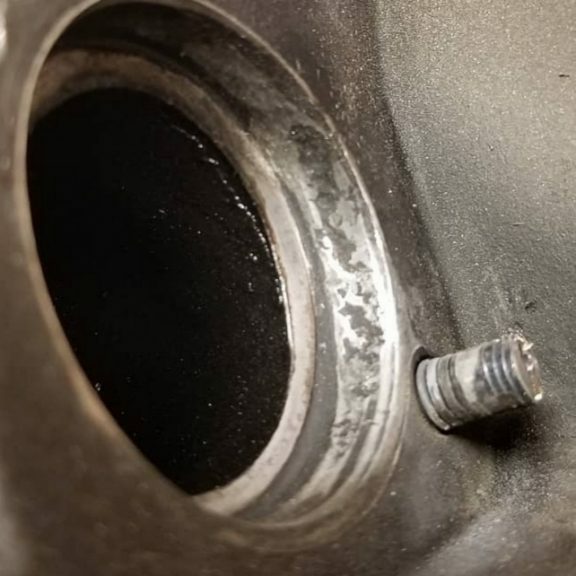 The exhaust may need to be removed for a repair or replacement and the exhaust flare nut is completely frozen on the stud. What should you do??? Well, what we typically see is; the owner grabs for a longer handle ratchet and inevitably snaps the stud. Not cool!!! 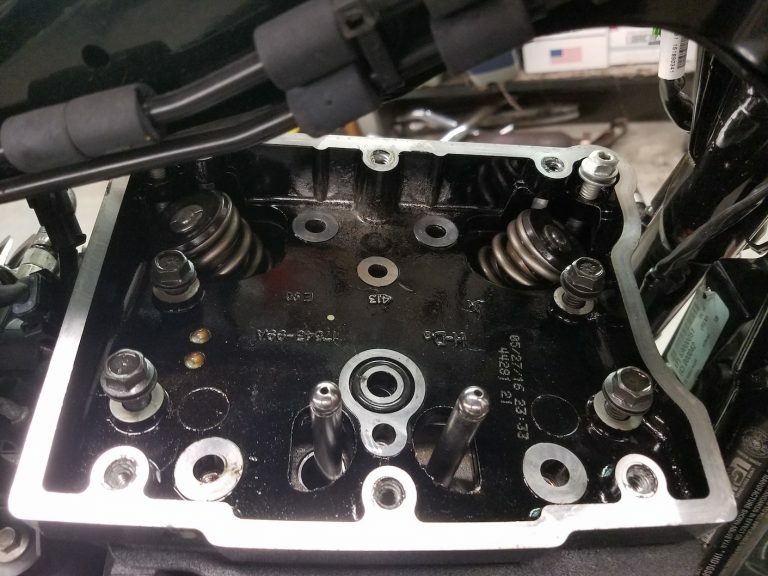 What most riders may not realize is that, nine out of ten times, the cylinder head will need to be removed in order to extract the broken stud and install a new one. 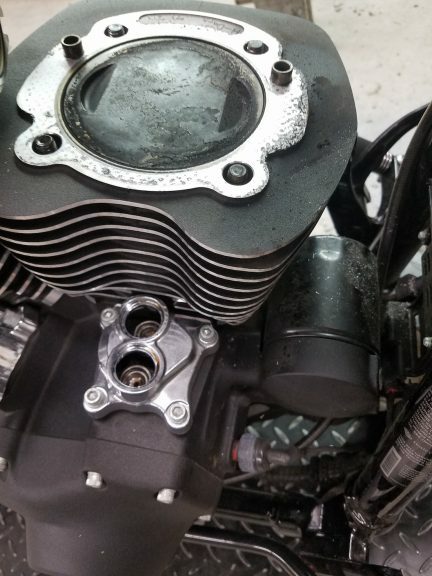 To make matters worse, we often see the motorcycle after somebody tries making a feeble attempt at drilling out the stud with the head still bolted to the motorcycle. The early outcome is usually a crooked hole or half of the stud removed with a half hole adjacent to the half stud! Again, Not cool!! We had a similar job roll into our shop this week. In this case, the bike had only 5,800 miles. It was like new and in pristine condition. No rust at all. The owner may have been a little over ambitious installing a new exhaust system. In this instance, over-tightening caused the stud to snap. Then, in haste, there was an attempt to drill & extract even though a frame down tube would make it impossible to drill straight. When installing or tightening an exhaust, always tighten evenly. Reference factory torque specs & torque sequences. 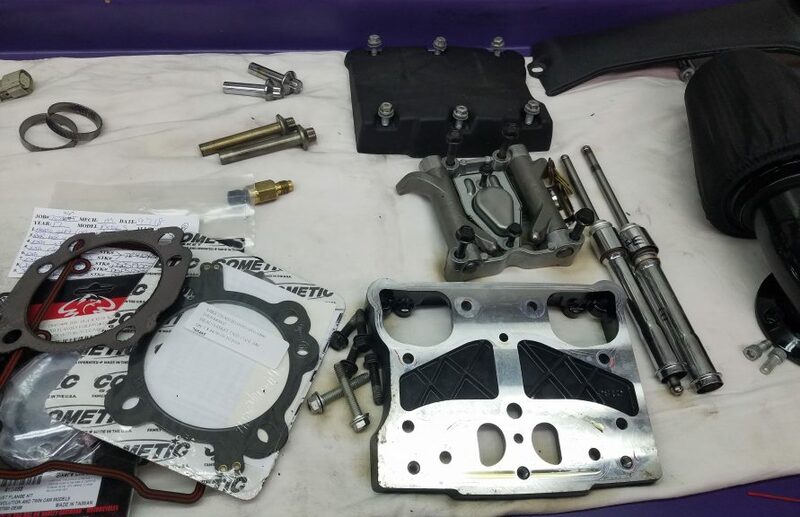 If exhaust studs or hardware is rusted or seized, try soaking with a premium rust penetrating fluid like PB Blaster or Spectro Penetrating Lube. Let the hardware soak overnight if possible. Use a propane torch to help free up frozen hardware if it is safe to do so. Whenever dealing with frozen hardware, practice patience. Take your time. Work the nut or bolt back and forth and, most importantly, try to get a good feel through your tool. When possible on a new machine that I have purchased I apply anti seize compound on all hardware that I think I will have to remove at a later date. This mostly eliminate any rust from forming on the hardware. Seems to work for me.